If you’re considering a career as a nurse, now might be the perfect time to get started. 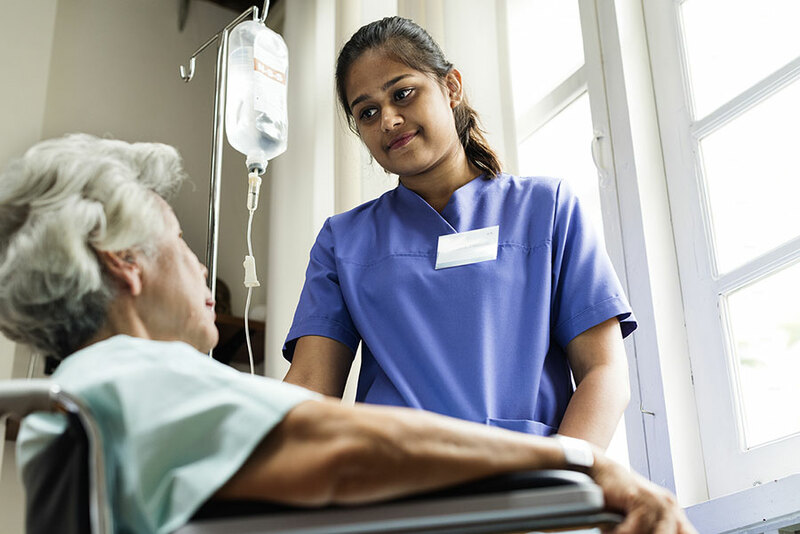 With more nurses retiring than are entering the field, hospitals are having to resort to creative and exciting incentives in order to entice new employees. Do five-figure signing bonuses, free housing, and paid college tuition for you and your children sounds like something you’d be interested in? Then keep reading to learn how you take advantage of some great perks as a new nurse . Similar to how the real estate industry has buyer’s and seller’s markets, right now is what you’d refer to as a “buyer’s” market in the field of nursing. As more nurses age and retire, hospitals are finding themselves pressured to fill open positions —and fast! The nation’s aging population also exacerbates the problem by increasing the demand for RNs throughout the field. than a million new registered nurses by 2022 (1). That’s a lot of open positions for newly graduated nurses! Because of this high demand of RNs, hospitals have come up with some creative perks to entice new nurses entering the field. Among these perks include generous signing bonuses, but there are other benefits that extend beyond the hiring process. Hospitals have started to offer all sorts of pricey perks as a way to recruit and retain nurses. UCHealth — a nonprofit health system that operates hospitals and clinics in Colorado, Wyoming and Nebraska —can’t find all the nurses it needs locally and has been forced to look for out of state candidates to fill their many positions (2). To entice these new recruits, it has offered relocation allowances and signing bonuses of up to $10,000. Other incentives UCHealth offers to their nurses include up to $4,000 a year towards continuing education and a traveling RN program, which allows nurses to do a 13-week rotation at different UCHealth facilities, it they wish. Realizing that signing bonuses don’t always keep nurses in their positions, many hospitals are offering additional perks to sweeten the deal more long-term. Benefits that go beyond the signing bonuses include flexible scheduling, professional development opportunities, and other programs designed to empower nurses and improve the hospital’s corporate culture (3). Other hospitals have taken to offer free housing to some nurses as part of a commuter program, a perk that aims at attracting new recruits as well as existing staff. West Virginia’s WVU Medicine started offering this program to nurses who live 60 to 90 miles from WVU’s hospital in Morgantown, West Virginia. Through this program, nurses are welcome to stay at hospital-owned lodging during days they’re scheduled. This fall, West Virginia’s WVU Medicine also has plans to start offering tuition reimbursement for employees and their children—another incentive hospitals are starting to offer to new and existing employees as a way to keep positions filled. By now you must be pumped to claim your perks as a new nurse. If you’re wondering where to get started, we know just the place! Eagle Gate College offers Bachelor’s Degrees in Nursing that can be completed in as little as 36 months and with little to no wait to start classes. Becoming a Registered Nurse (R.N.) without a bachelor’s degree is possible, but the job market tells us that BSN-trained nurses have higher-paying and more long-term career opportunities. It’s an extra step, but it is well worth it in the end. get you closer to benefits beyond belief in a new career you’ll love!